In 1985, the first World Cup was held in Zürs, Austria. The International Snowboard Association (ISA) was founded in 1994 to provide universal contest regulations. In addition, the United States of America Snowboard Association (USASA) provides instructing guidelines and runs snowboard competitions in the U.S. Today, high-profile snowboarding events like the Olympic Games, Winter X-Games, US Open, and other events are broadcast worldwide. 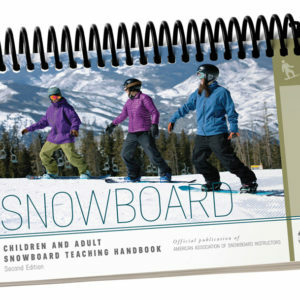 The American Association of Snowboard Instructors was founded in 1997 in response to the growing demand of snowboard instructors and resort operators around the United States and beyond. The goal was to create a consistent experience for guests regardless of where they were traveling and at what area they planned to visit. You’re here because you love to ride and teach people how to do the same. Snowboarding has been around since the late 1960’s and began to gain mainstream popularity by the early 90’s, and became a Winter Olympic Sport in 1998. The development of snowboarding was inspired by skateboarding, surfing and skiing. The purpose of this guide is to provide exam candidates, training directors, divisional clinic leaders and examiners with an established outline to reference while preparing for, participating in, and administering the PSIA-NW Certification Level I, II, and III exams. ***Please note, for successful completion of a certification, all components of the exam must be completed in the Northwest, partial module passes in other divisions do not transfer. Listed below are the six Snowboarding Fundamentals. 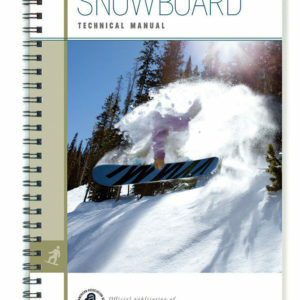 The Snowboarding Fundamentals remain consistent through all levels of certification; they are listed in no order or priority.